Bridge is a strategy game that teaches one to be of a tougher mindset, to use one's intellect to maximum capacity, communicate powerfully and to pursue victory diligently. It is these qualities that makes bridge a perfect fit for HCL. 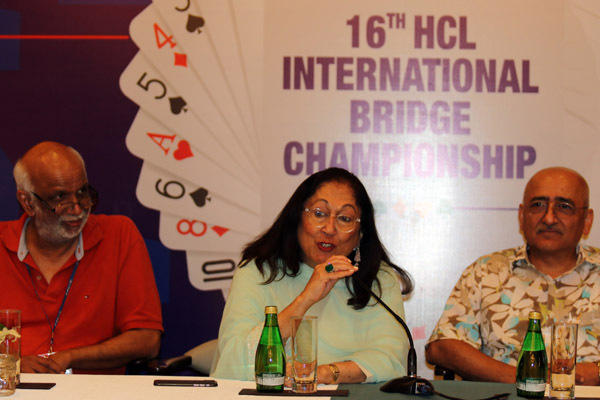 HCL has been strongly supporting the game in India since 2003 through the HCL International Bridge Championship held every year in New Delhi, India. The Championship is the premier bridge tournament in the country and the biggest In terms of the prize money and participation levels. The 2018 Championship had a prize purse of 18 million and witnessed participation from over 850 players from 162 teams. International teams having players from USA, Poland, Italy, Bulgaria, Russia, Netherlands, Israel, Sweden, Iceland, South Africa, UK, Australia, New Zealand, Croatia, Denmark, Romania, Japan, Thailand, Jordan, Sri Lanka & Bangladesh have participated in the last two editions of the Championship. The 17th HCL International Bridge Championship will be held from August 5-10, 2019 at the JW Marriott Hotel in Aerocity, New Delhi.